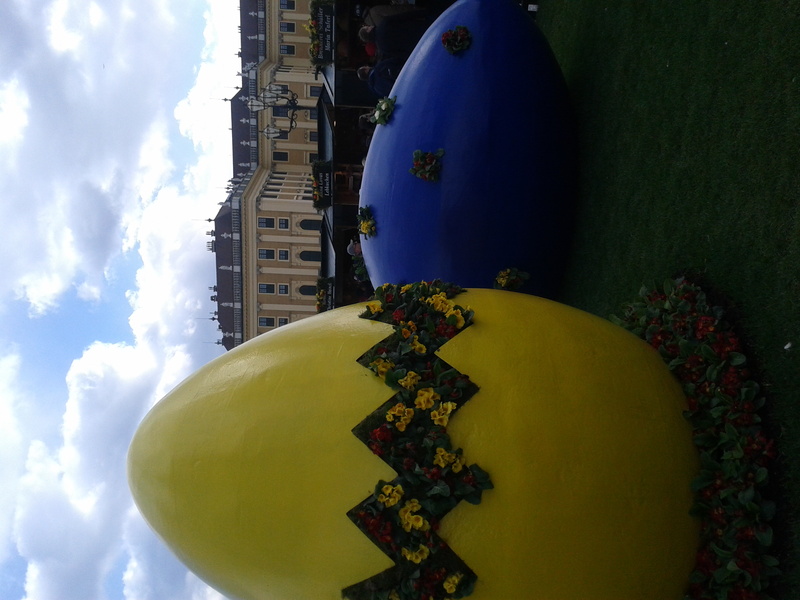 So by now I’ve spent my first Easter in Vienna and I have to say it was a lovely one and I was really impressed by the level of preparation for it. It wasn’t merely marked by the presence of chocolate rabbits and eggs in supermarkets, but it was celebrated as a festival and for a good few weeks. I loved how everyone, shops, restaurants, doctors clinics even as well as other places of business decorated their windows with colourful eggs, cute chicks and bunnies. Shops and bakeries sold special cakes and the city hosted Easter markets in some beautiful venues where you could buy the most delicate and intricately painted eggs to take home and decorate your house with. The most beautiful markets were at the Schonbrunn Palace and in a tiny old courtyard near the centre of the city. People here like to mark the changing of seasons and the advent of major festivals. The city takes a seasonal approach to most things, including its food. For spring special cakes have appeared in the famous coffee houses and asparagus is making a come back in the supermarkets which is something that drove me mad last year when I couldn’t get any out of season, but something I appreciate now. 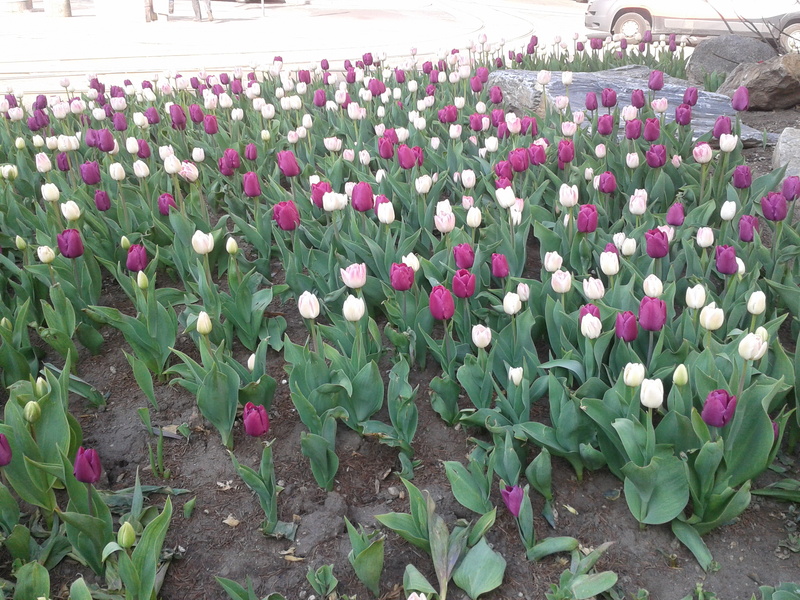 The city is covered with gorgeous purple and white tulips which are starting to open and people rush to get a seat at an outdoor café whenever there is an hour of sun. It all feels lovely and traditional and I love how the city takes pride in differentiating between the seasons by making each one uniquely beautiful and attractive. 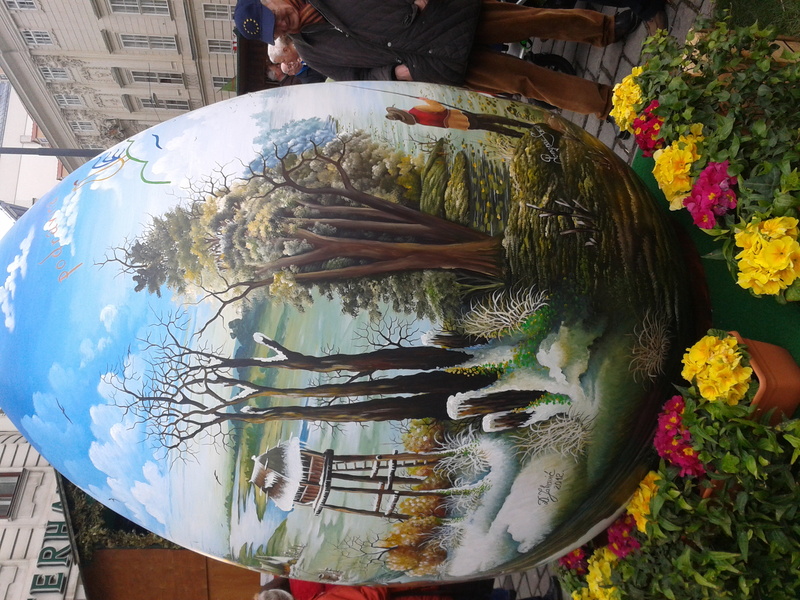 Easter felt less commercial this year, but however much I tried to appreciate a real, hand painted egg, I couldn’t disassociate Easter from chocolate, namely with Cadbury’s Creme Eggs, which I love. After hunting around the shops and not being able to find any, I did what any expat would and got a visitor to bring a stash out and she did me proud. 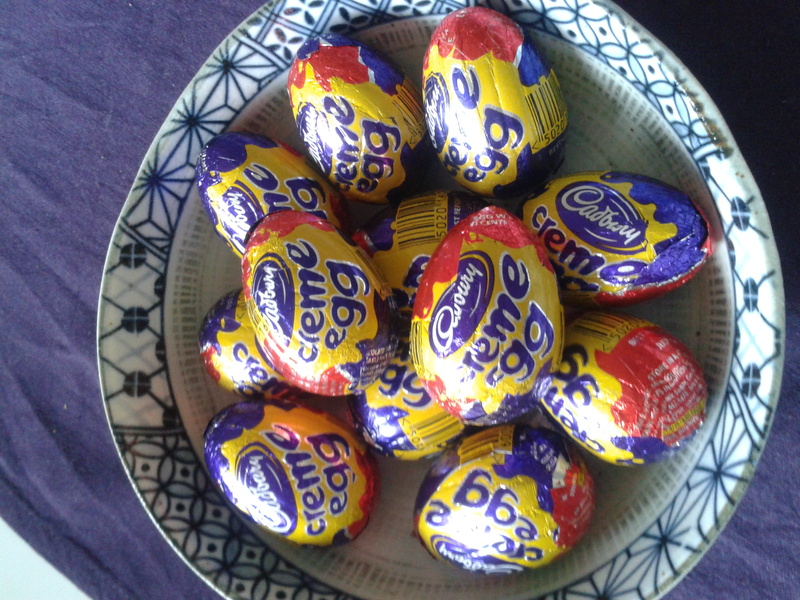 I’ve been enjoying my egg a day and I don’t even feel slightly guilty. 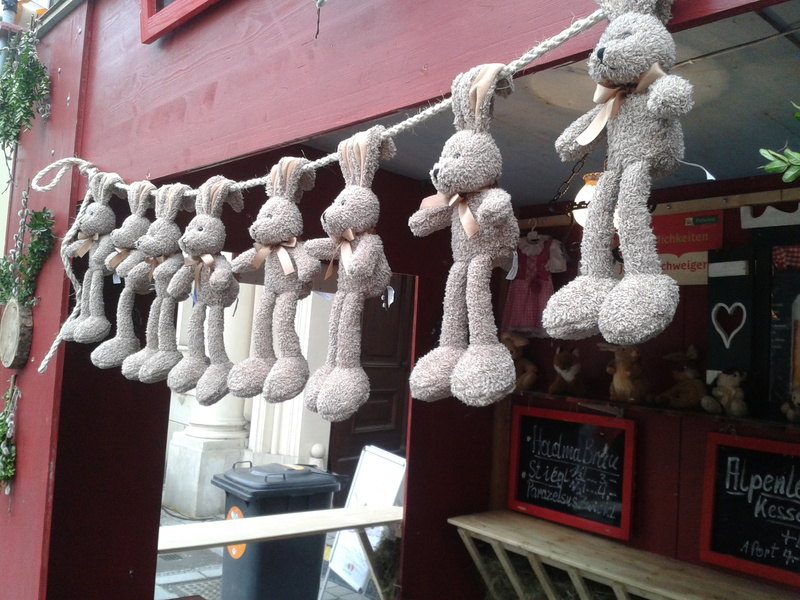 Easter – how do you do it?